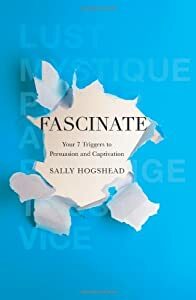 Fascinate: Your 7 Triggers to Persuasion and Captivation by Sally Hogshead is a book I have been waiting close to six months to read. Took me longer than I had anticipated to get to it, but I'm glad that I finally did because this book is amazing and a must for any communicator or marketer. There seems to be a trend in marketing thinking these days. In order to really understand why we do things (like buy or hold onto an idea) we need to look to the "ologies". Biology (or Buy-ology), sociology and anthropology are all being used to explain why we do seemingly irrational things. In Linchpin, Seth Godin talks about the lizard brain and its power over our actions. In Made to Switch, the Heath brothers talk about engaging the rider, directing the elephant and shaping the path... all of these are metaphors for parts of our brain. In order to write Fascinate, Sally Hogshead must have poured over thousands of pages of research because much of book is based on scientific research about what fascinates us. However, what I would say makes this book really stand out is the amazing three part ending on how to evaluate how fascinating your company or message is, how to create a fascinating message and then how to execute it. This is the part of this book that sets it apart because it gives you specific exercises you can do in order to harness the power of fascination for your own endeavors. Simply put this book is a must-read and one I will be adding to my own personal collection for sure. 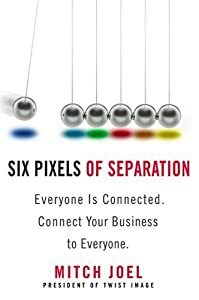 If you'd like to get a taste for the material before reading it, you can listen to Mitch Joel's Six Pixels of Separation Podcast that has an interview with Sally Hogshead. As mentioned in my previous post, I have a few books to read in the upcoming months. 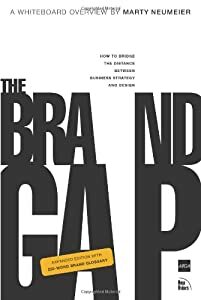 I just finished reading "The Brand Gap: A Whiteboard Overview" by Marty Neumeier. Neumeier is a California-based brand collaboration expert. This means that he specializes in making sure marketing teams understand and communicate brand value consistently across all of their activities and customer touch points. The Brand Gap is a quick read and designed to get you into the heart of branding really quickly. Absent from this book is the long-winded prose you find in many marketing/branding books where the author goes on and on about one subject until you begin to fall asleep. Neumeier keeps this book on-point and to the point. Tip: The book contains a summary and suggested reading list at the end and both are awesome. I have to say that after reading this book, I realize that many of these concepts and many of the exercises in the book have been taught to me over the years. Nevertheless, this book is so good and so easy to get through that I recommend it as essential reading for everyone who is even close to managing a brand. Next up: Fascinate by Sally Hogshead. Been waiting 6 months to read this one!